This week, the nationwide retailer Macy’s announced that they will soon feature an entire fashion collection specifically for Muslim women, prompting a widespread backlash from many shoppers who are sick and tired of Islamic influence on Western culture. 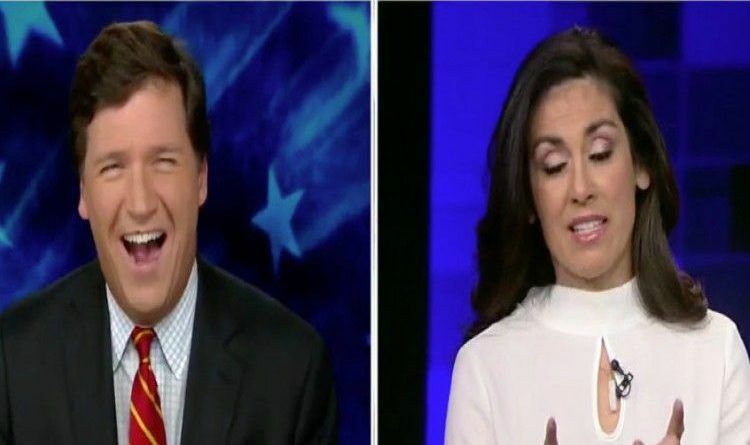 On Thursday, feminist Sonia Ossorio of the National Organization for Women joined Fox News’ Tucker Carlson to discuss over hijabs being sold at Macy’s. “I’ll tell you what’s a big part of women’s liberation, is making sure that the Trump administration does not roll back our rights to full reproductive healthcare,” Ossorio claimed. “Oh, right, abortion, right,” Tucker said. “I go to work every day to think about how to close the wage gap,” Ossorio said. “Yeah, I’ve noticed, in the form of the hijab, for example, just to name one,” he shot back. How in the world is a Hijab empowering? Do feminist women really want to endorse a religion where they can’t leave the house without a chaperone? I’m flabbergasted that this woman somehow thinks that she’s making a logical, coherent defense of wearing a hijab as a means of addressing women’s empowerment. It’s just that she finds it more important to destroy America than to empower women. Her explanation goes south after that and as a female, I’m embarrassed for her and anyone she represents. President Trump Tweets About Jussie Smollett And He Humiliated Him Even More!